DORIN FRANKFURT elevates her contemporary staples with surprising twists. 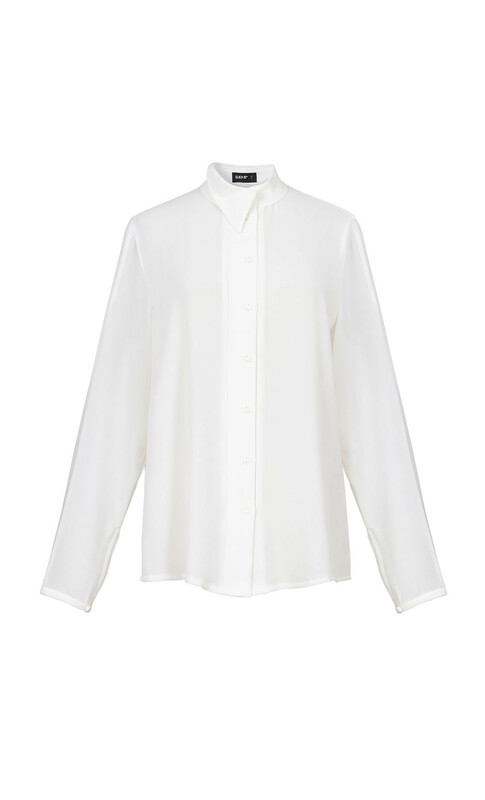 In this elegant buttoned shirt, an asymmetric collar adds a dramatic feel to a classic look. The must-have shirt is available in two colors - black and white.